With the kickoff of college football season upon us, fans will be going to bars to watch games and having parties in their own homes to enjoy the sport. Many times, whether at a bar or in a private home, you may have too much to drink. But what are the rules for bar owners, managers and even homeowners when serving liquor to guests or patrons? Dram shop liability is any liability concerned with the sale and consumption of alcohol. Any time a bar, restaurant or homeowner serves alcohol contrary to the provisions of the law, he or she can be held liable for any damage that occurs as a result. In most states, it is illegal for a bartender or host to serve you alcohol once you’re visibly intoxicated. 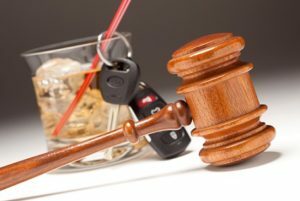 If you are served at this point, and you go out and have an accident, the bar, restaurant or homeowner may be held liable. So, if you’re hosting a party for a group of young people and serving beer and something bad happens, you could be held criminally or civilly liable. This could be true if someone was served too much alcohol and fell and hurt themselves in your driveway. Generally speaking, if you’re open to the public and don’t maintain your premises in a safe and responsible manor, even when alcohol is not involved, you will probably be held liable should someone fall and injure themselves. Slips and falls – is there a difference in what is expected of a business owner versus a homeowner? If you’re a shop owner and inviting people in, you have a high standard to warn or make safe any dangers you know about or should have known about. The same thing is true of your home. If you invite people in, you have a duty to make it safe and to let visitors know of anything that may be a hazard.